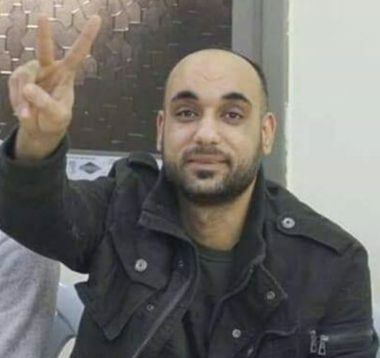 Undercover Israeli soldiers abducted, on Wednesday at night, a former political prisoner from Jenin refugee camp, after ambushing him near Ya’bad town, south of Jenin city, in northern West Bank. Eyewitnesses said the undercover soldiers ambushed Tha’er Ahmad Jaradat, 35, near Ya’bad town, and abducted him, after repeatedly beating him up, before dozens of soldiers rushed into the area and took him to an unknown destination. Media sources in Jenin said the detainee is a former political prisoner, who was held by Israel for 14 years. It is worth mentioning that the soldiers previously invaded and ransacked his family’s home, causing excessive property damage, and abducted his father and brothers. In related news, the soldiers abducted two Palestinian customs employees near Qarawat Bani Hassan town, west of Salfit.